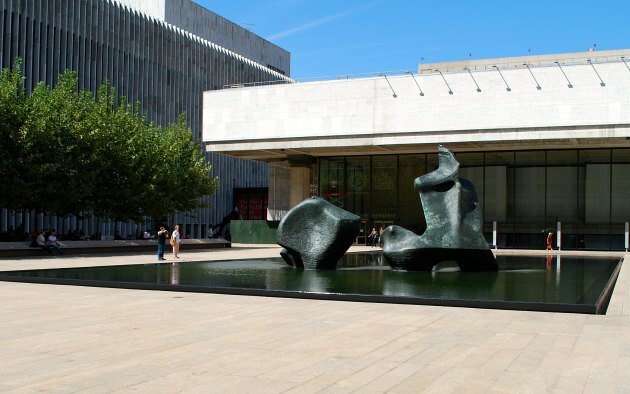 The Lincoln Center in New York is a 1960s collection of buildings dedicated to the performing arts. 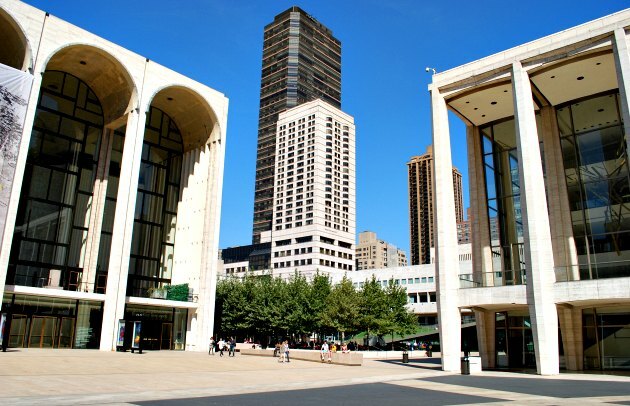 The first thing you notice about a visit to Lincoln Center is just how big it is! The various buildings are set out over 16.3 acres and the open spaces and plazas are very spacious. What you don’t immediately realise when walking the plaza areas is that the centre is also under your feet. The complex claims to be the world’s leading performing arts centre with 12 resident organisations. It has been home to many of the big names in music and theatre including the New York Philharmonic, the Metropolitan Opera, the New York State Theater and the Julliard School for the Performing Arts. There are a number of sculptures to admire around the centre, most notably Henry Moore’s Reclining Figure in the North Plaza (pictured above). Lincoln Center is now the home of New York Fashion Week when large tents are erected in the grounds. Fashion Week is held in February and September each year – it was formerly held in Bryant Park. Guided tours of the centre take place from 10.30am to 4.30pm daily and cost $20 for adults (2016 prices). Bear in mind that tour times do vary depending on commitments and use of the buildings. The tour mentioned above is free with the New York Pass. You may also remember Lincoln Center from the Oscar winning movie ‘Black Swan’. Lincoln Center is on Broadway at 64th Street.